For me, 2010 seemed to be the year of the burger. Prior to last year, I don’t think I had ordered a burger at a restaurant since I was young enough to use the kid’s menu (so about 16, 17 maybe). But, for whatever reason, I suddenly went on a burger binge, determined to find the best gourmet burger in San Francisco. After visits to Fish&Farm, Serpentine, Bar Tartine, Roam, Burgermeister, B3, Nopa, and Spruce, there was a clear winner: Nopa didn’t just have the best damn burger in the City, it was the best burger I’ve ever tried. 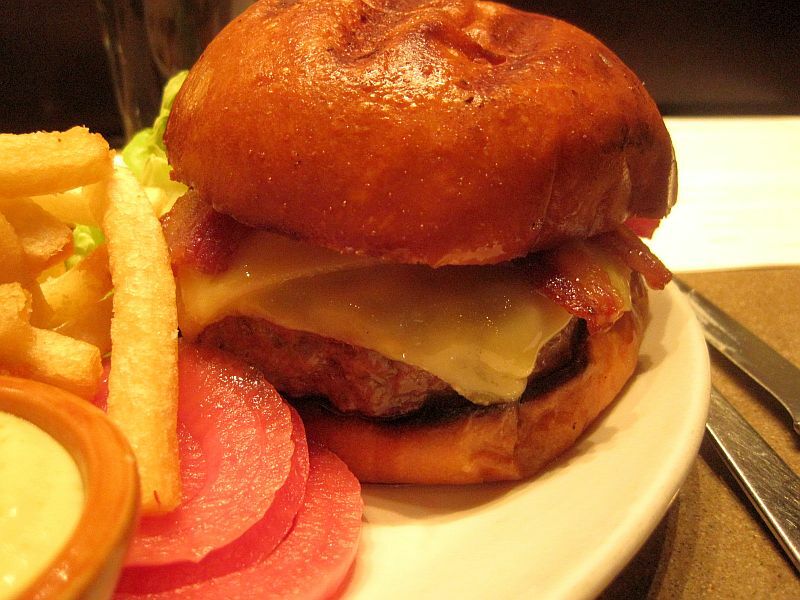 Serving up a grass-fed burger ($13) may seem commonplace in this city, but served at a perfect medium rare with pickled onion, gruyere, house-cured bacon, on a house-made brioche bun makes something simple into something absolutely mind-blowing. And it’s consistently mind-blowing – on at least 5 separate occasions that burger was perfectly cooked and tasted exactly how I remembered. Knowing that kind of juicy burger perfection exists has actually made it hard for me to order them anywhere else. Next to SPQR, I probably visited Nopa for dinner more times than any other restaurant, and although their menu was always filled with plenty of delicious options, it was that burger that kept me coming back for more. Have you tried Slow Club's burger? Balsamic red onions FTW. I haven't! But Mission Beach Cafe has been on my to-try list for a loooong time now.